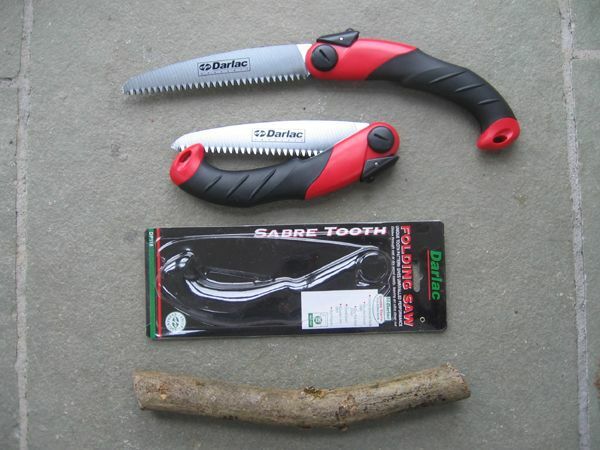 For all those pruning and sawing jobs where the secateurs or loppers are just not up to it. This saw slips easily into a pocket when folded (approx.24cm/9inch) but then hold down the safety catch, open the blade and it extends a further 20cm/8inch. This size makes it suitable for tough work - branches up to about 10cm/4inch. The shape makes it easy to access those difficult spots amongst criss-crossing branches. The blade is made from precision ground chrome plated carbon steel. Spare blades are available in the UK.